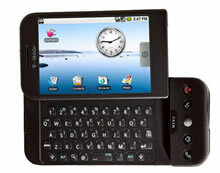 The T-Mobile G1 (previously known as the HTC Dream) is an Internet-enabled smartphone designed by High Tech Computer Corporation. The G1 is the first phone to the market that will use the Android mobile device platform. The phone is part of an open standards effort of the Open Handset Alliance. It was released for pre-order through T-Mobile on September 23, 2008. According to its specification, T-Mobile G1 is able to play YouTube FLV videos before releasing other media players for Android mobile phone platform. There's a free MPEG4/3GPP video player available on the Android Market, which improves the G1's multimedia experience, and we're sure more players will launch over time. G1 supports AAC, AAC+, AMR-NB, MIDI, MP3, WMA, WMV audio and Ring tone formats. To convert video for T-Mobile G1 (HTC Dream), you need a video converter. Download and install Any Video Converter from this link. 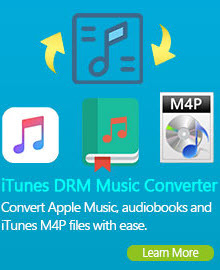 With this powerful converter, you can convert almost all video formats including DivX, XviD, MOV, rm, rmvb, MPEG, VOB, DVD, WMV, AVI, movie formats to FLV (Flash Video) or MP4 ready for your mobile phone. How to convert videos to FLV format for T-Mobile G1? Step 2: Since G1 (Android OS) supports YouTube FLV format, you can choose output profile "Flash Video Movie (*.flv)" in the profile drop-down list and set frame size option to 320 x 480 pixels. You need to manually input frame size value according to your Gphone's screen resolution. The default settings is good enough. For better enjoying videos on T-Mobile G1, you can customize video and audio options, such as Video Codec, Video Bitrate, Audio Codec, Audio Bitrate, Audio Channel, Disable Audio, etc. Step 3: Click Convert button to start converting videos for T-Mobile G1. Once the conversion is finished, you can click "Output Folder" button to get the output MP4, WMV or 3GP files. Then connect your T-Mobile G1 with computer, import output videos into it, and have fun! As a professional conversion software, Any Video Converter provides an easy and fast way to convert MKV to FLV format for T-Mobile G1. Furthermore, this MKV video to FLV converter allows you to preview original and edit the MKV video. You can cut unwanted parts of MKV video by specifying starting time and ending time through Trim, the black edge can be removed through Crop. You can adjust brightness, contrast and saturation to make your MKV video looks more comfortable on T-Mobile G1. In fact, you can merge your flies into one as you like and collect the attractive images in the video for collection on your PC by means of using the snapshot function. Any Video Converter is a splendid and powerful WMV FLV converter which can convert WMV files to FLV perfectly for your T-Mobile G1. It provides user-friendly interface and you can enjoy the FLV videos on your 3G Android phone. Only a few clicks can help you finish WMV to FLV conversion work!!! Just try this easy-to-use Converter at once!!! With this Free Flash FlV Video Converter, you can convert flv files to other video and audio formats, such as FLV to AVI, FLV to MPEG, FLV to WMV , FLV to MP3, FLV to MP4, FLV to 3GP, etc. for editing or playback on iPad, iPod, iPhone, cell phone, zune and many other portable devices. Any Video Converter is the most competitive and hot-picked MOV to FLV converter software world widely. Of course, it would be also an excellent Quicktime HD MOV to FLV converter that can't be ignored if you need to encode HD files to FLV. 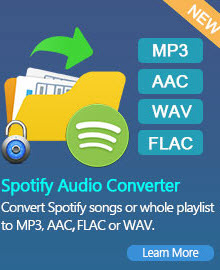 Any Video Converter is an ultra AVI to FLV Converter, which can not only convert AVI to FLV, but also able to convert MPEG to FLV, WMV to FLV video, AVI to SWF, RMVB to FLV, RM to FLV, M2TS to FLV, MTS to FLV format.